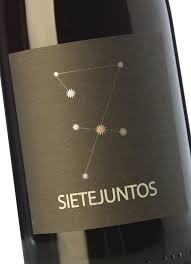 Tempranillo 95% y 5% syrah. It is the only wine that is not 100% monovarietal. The grape comes from a vineyard in the municipality of Nieva, province of Segovia, and was planted in 1946 in free standing on silica sand and boulder. The cultivated area is 1.26 Ha at an altitude of 900 meters. The cold grape is destemmed and is kept macerating with the must 4 or 5 days before the start of the alcoholic fermentation. Once this has been started, several overruns are made according to the density and tasting of the must-wine or wine. As we are not in favour of extracting excessive tannin from the skins, nor much colour, the pulp is removed from the barrel and pressed at a density of 1005/1010. Then the wine is put in a barrel to finish the alcoholic fermentation. Therefore, we consider the batton as a friendly tool. After the malolactic, the wine is racked, being generous with the lees. Depending on the years, a different aging time is provided in barrel, usually 12/14 months. The production is approximately 7/8 barrels per year.